A Chillicothe man allegedly in possession of a loaded gun and cocaine was tased by police Sunday inside Walmart after he reportedly resisted arrest. Just before noon, the Washington C.H. Police Department was contacted on a complaint of a suspicious male at Walmart, 1397 Leesburg Ave. The person who made the complaint said that while the male was talking to someone on the phone, he referenced harming unknown person(s) with an assault rifle. When an officer arrived, the suspect, later identified as Marvan D.L. Woodfork, was found near the market side entrance of the store walking quickly by the checkout aisles and toward the exit. An officer advised Woodfork to come speak with him, according to reports, and he obliged. Woodfork reportedly admitted to being on the phone talking about an assault rifle. “His actions were very erratic and his version of events continually changed,” the police report states. The officer radioed another officer to assist by the self-checkout area. The officer asked Woodfork if he had any guns, knives or drugs on him, to which he replied “no,” and pulled his shirt up. Woodfork allegedly continued this behavior and officers grabbed his arms. Officers reportedly took Woodfork to the ground as he continued to flail. He allegedly kept reaching for his waistband despite being told to cease his behavior. One of the officers utilized a taser in “drive stun fashion” on Woodfork’s back, which subdued him, according to reports. He was eventually handcuffed and taken to a police cruiser. The item in his waistband was a small plastic canister which contained a hard, white, crystal-like substance and a powdery white substance. Both presumptively tested positive for cocaine, reports said. On his right ankle, police allegedly found a loaded Bryco Arms Jennings J-22 gun in an ankle holster. 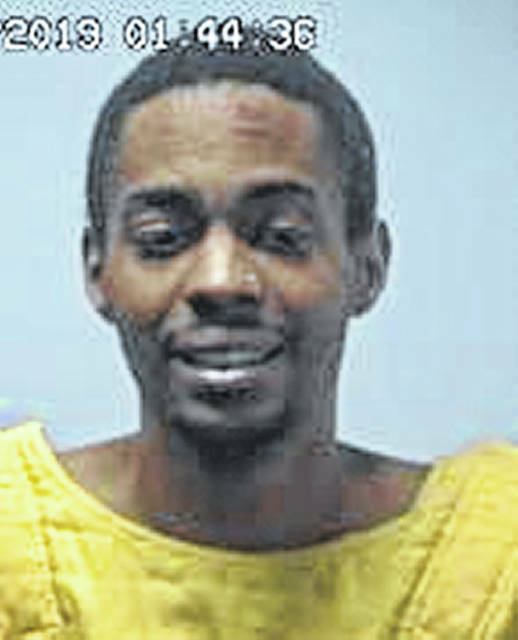 Woodfork, 24, was taken to the Fayette County Jail on charges of possession of drugs, carrying a concealed weapon, weapons under disability, violating a protection order, inducing panic, possession of drug paraphernalia, obstructing and resisting. He is being held on a $20,750 bond.